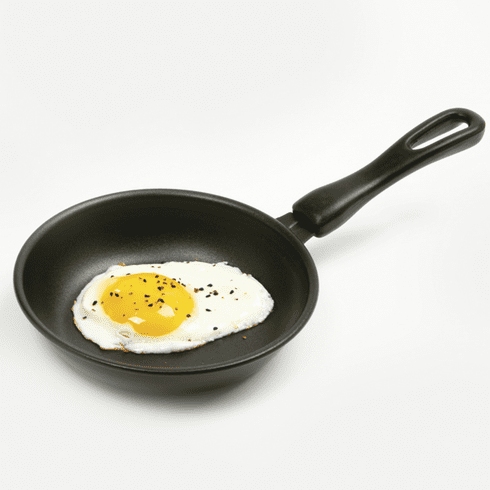 Mini NonStick Fry Pan 6"
Home > Kitchenware > Cookware > Mini NonStick Fry Pan 6"
6"/15cm High quality carbon steel with nonstick for even cooking. Curved sides so food slides out easily. Stay cool, comfort grip handle. Ideal for frying up single servings of eggs, crepes, sausages, seafood, poultry, burgers or vegetables! Easy to clean.